The Altévic The restaurant opened its doors in December 2012. It is headed by Jean-Christophe Perrin, chef of the old cellar of Eguisheim. Jean-Christophe Perrin welcomes you Hattstatt Haut-Rhin in a jovial and warm atmosphere. He is passionate about his job and makes you enjoy gourmet and tasty cuisine. So passionate that changes its menu card every week with attractive prices. It welcomes you in a simple loft, gross. A contemporary space full of light and fully glazed. Fine materials between raw concrete, sycamore or oak. His kitchen, he wants to like him, sparkling and different. Jean-Christophe Perrin has developed a seasonal menu with multiple flavors drawn from his taste experiences around the world. 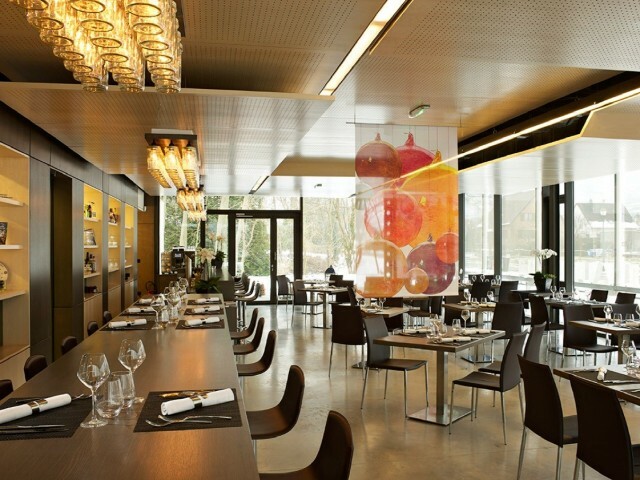 You want to have a good time and discover new flavors at the restaurant L'Altévic, book now!